Houston is home to some true track and field teams. They participate and compete in several meets all season long battling each other. Coaches mix and match their line ups and enter athletes in a variety of events until the athletes find their niche and relay teams are set and district event assignments are settled upon. The results might be somewhat baffling to some. Both the girls and boys results show that some of the area's best cross country teams are also leading the way on the track despite being out numbered by more sprint events. That could mean a couple of things. 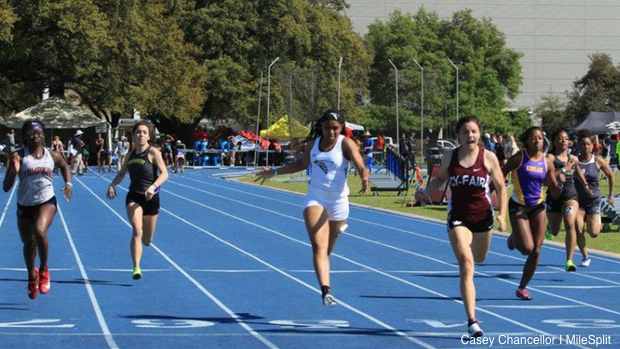 Either they can put more of their distance runners in events throughout the season, their quality is showing in the rankings, or they simply have some really complete track and field teams. What do these results actually mean though? Can Strake Jesuit be the next The Woodlands and win a boys UIL 6A state meet title? Can Fort Bend Marshall boys grab another UIL 5A boys title? Are The Woodlands girls serious contenders to the DeSoto machine? Click the links to see who leads the way in the Houston area.